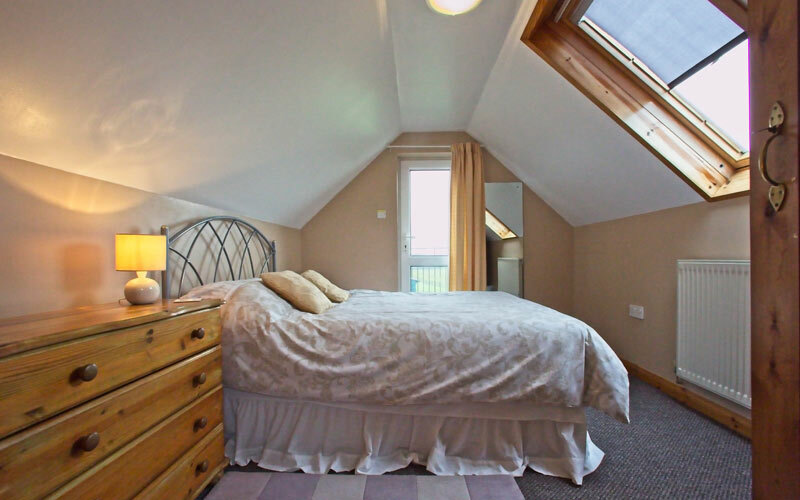 Oak cottage is semi-detached spacious cottage skillfully converted to provide comfortable accommodation for up to 6 guests in three bedrooms. 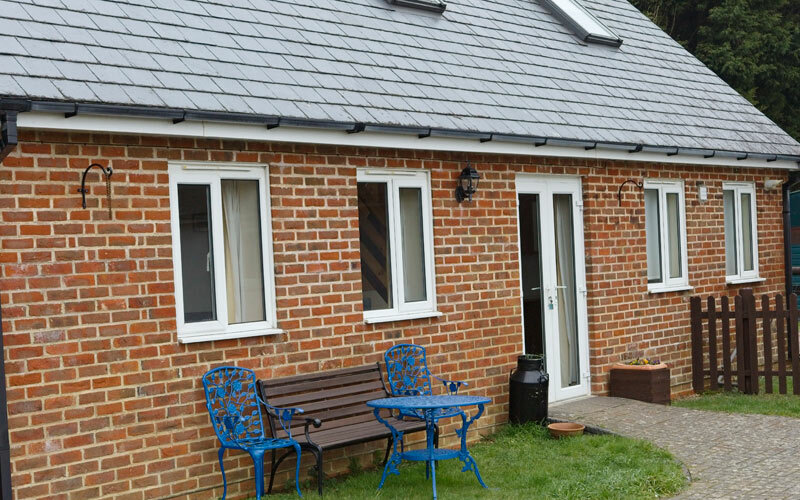 This cottage has been thoughtfully designed to accommodate the less able guest and accompanied wheelchair users. Oak cottage has been awarded 4 stars by visitengland.com and graded M2 by English Tourism Council. Ground Floor. 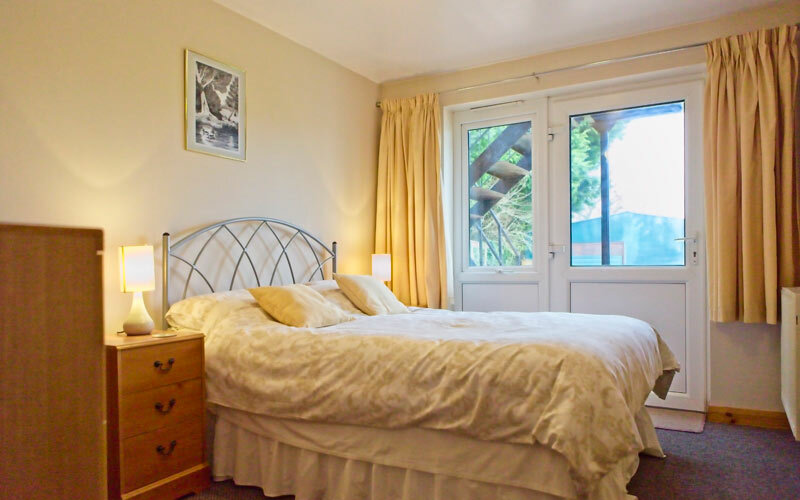 There is one bedroom with a double bed and door to the garden. All bed linen is provided. 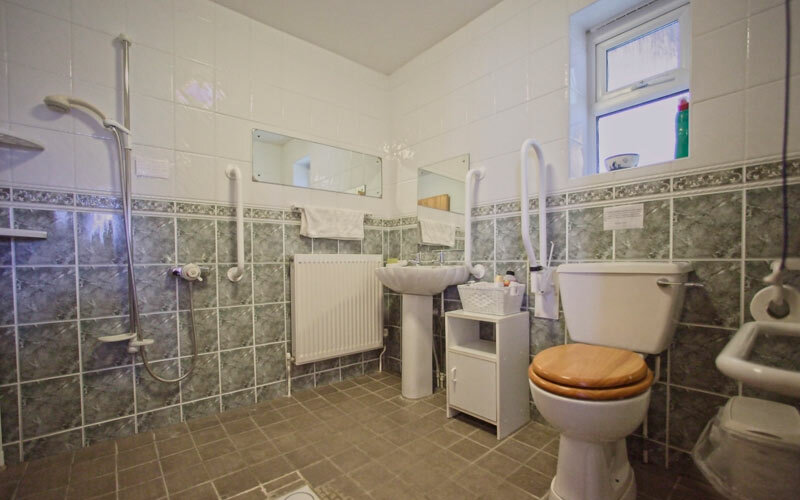 A shower/wet room with washbasin and toilet. There is a separate toilet next door. 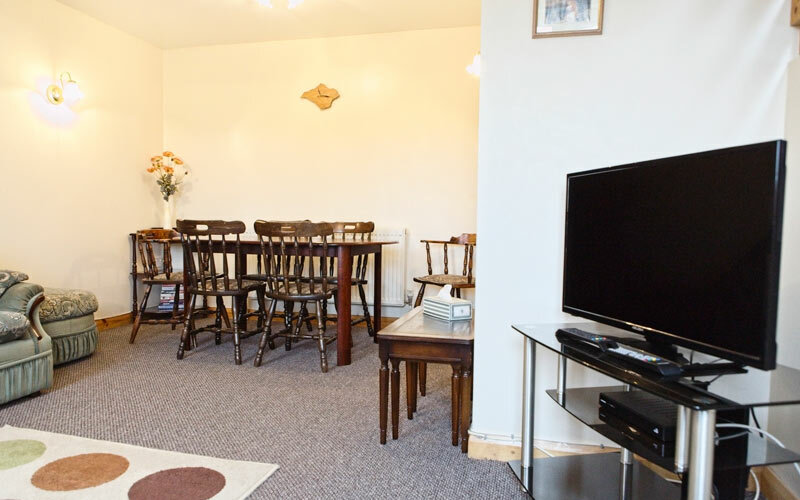 The living/dining area has a three piece suite, dining table and chairs and TV. 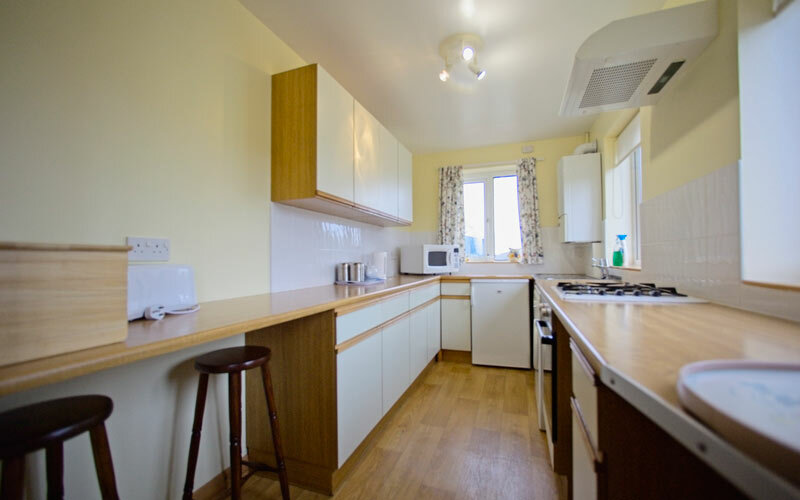 The kitchen is fully equipped with gas hob, electric oven, microwave, washing machine, fridge with integrated ice box, toaster, kettle, iron and hoover. Upstairs. 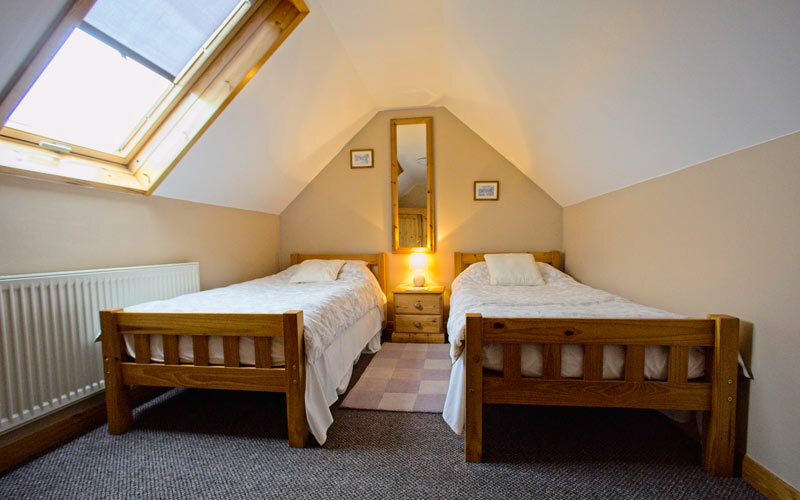 There are two further bedrooms, one with a double bed and the other with 2 single beds. All bed linen is provided. Towels are supplied but not for use on the beach please. Outside. The garden is through the gate at the side of the cottage into the barbecue and seating area. 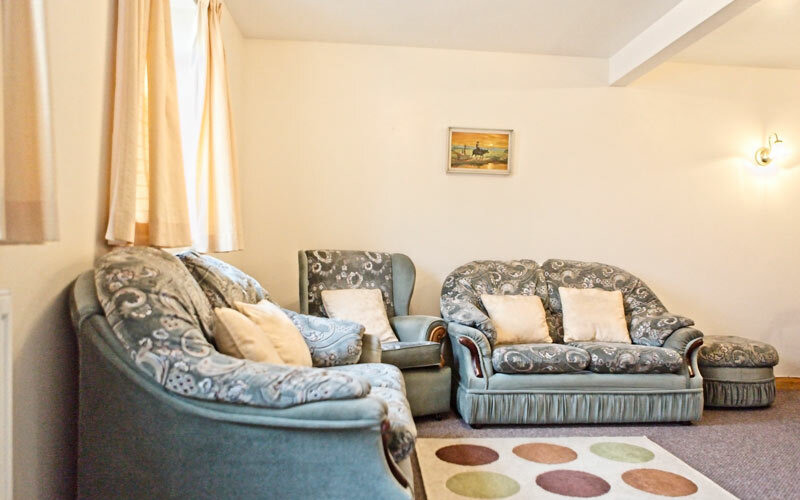 We welcome dogs in Oak cottage by prior arrangement.